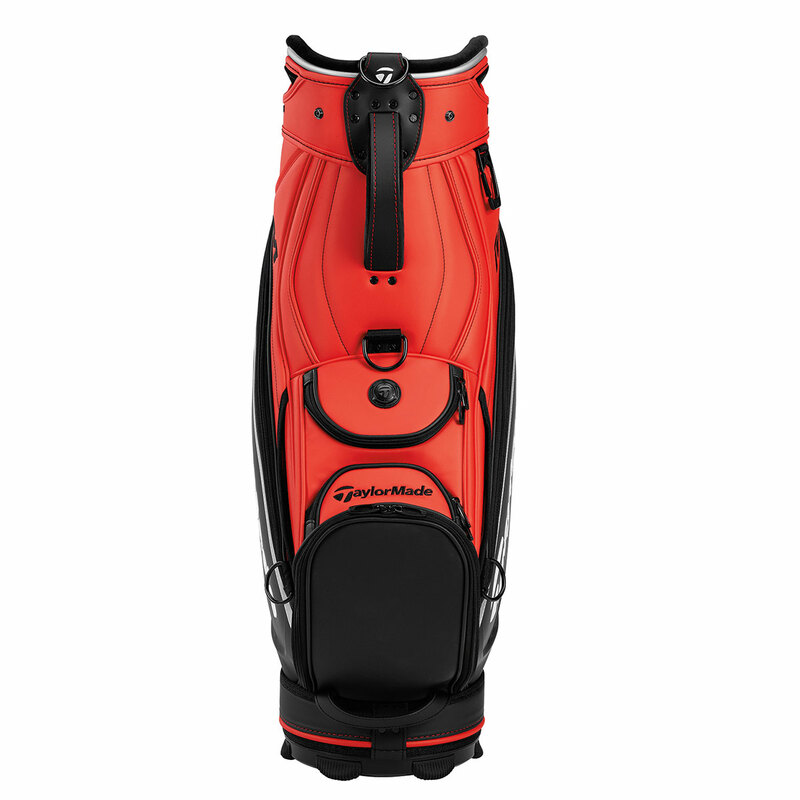 This bag has more than enough room for all your requirements with a large 8.5" x 11" top size with 6-way velour dividers to organise all of your golf equipment. 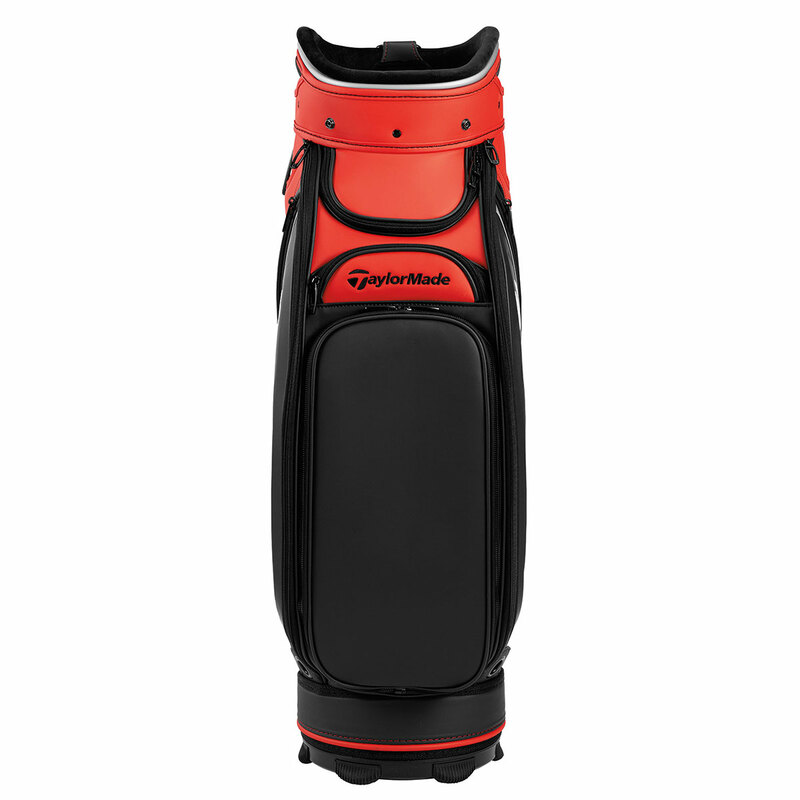 For your storage the bag has 12 pockets which include 2 velour lined valuables pockets, 2 garment pockets, 2 hard shell accessories pockets for added protection, 2 Insulated cooler pockets, 2 accessories pockets, ball pocket and tee pocket. The bag also includes an umbrella sleeve and has a black gunmetal hardware/towel clip. 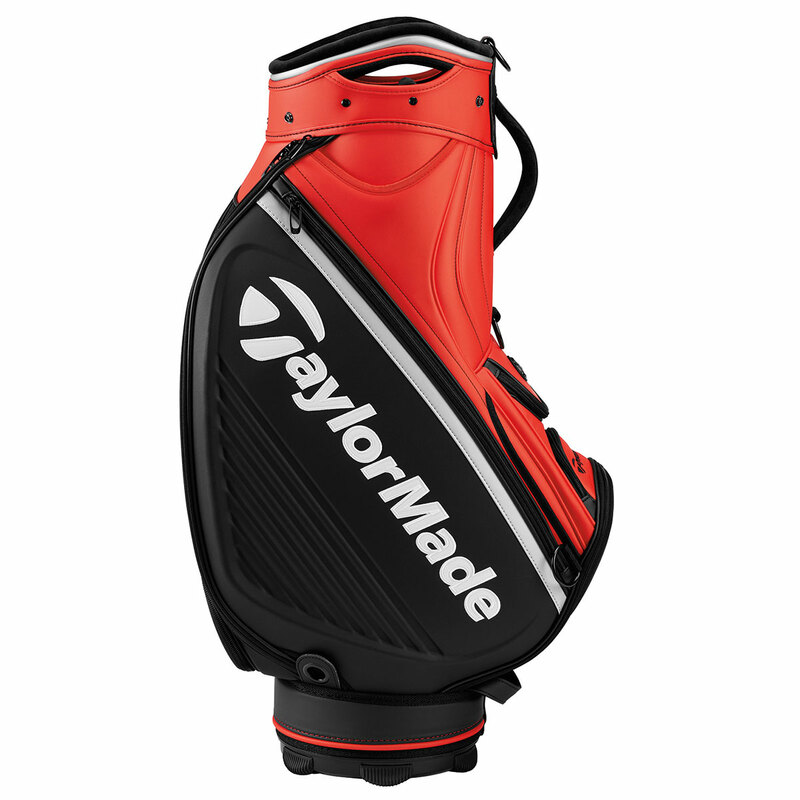 The bag has been made with brushed/micro perforated synthetic leather for a premium look and has a 2-point shoulder strap with TaylorMade logo if you are required to carry. The bag comes with a matching rain hood and has a zip off belly panel for custom embroidery. 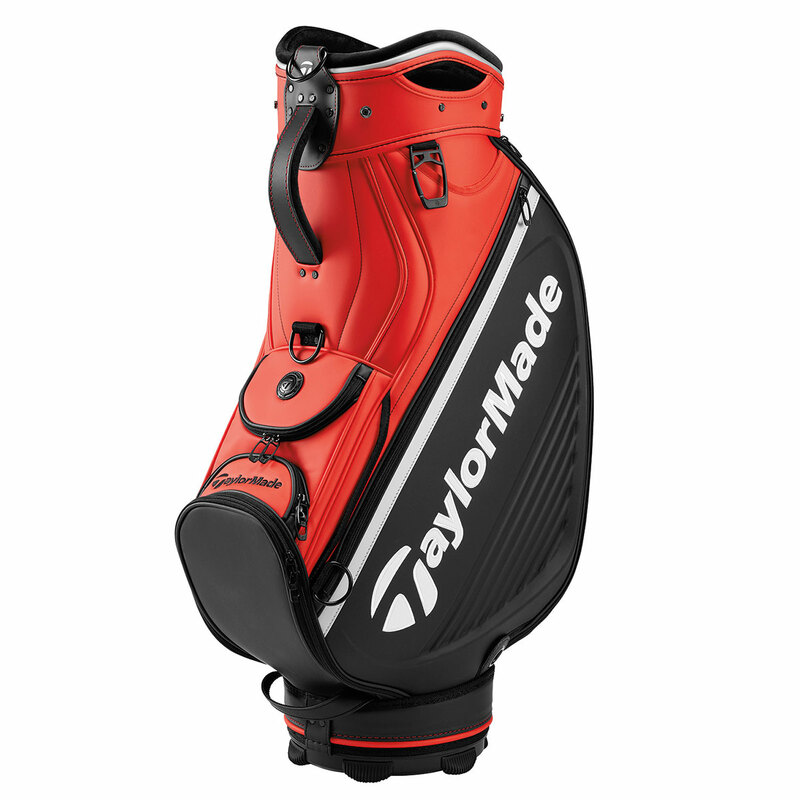 Bag weight 4.4kg.